Akifumi Nakajima, best known as Aube, passed away on September 25, 2013. 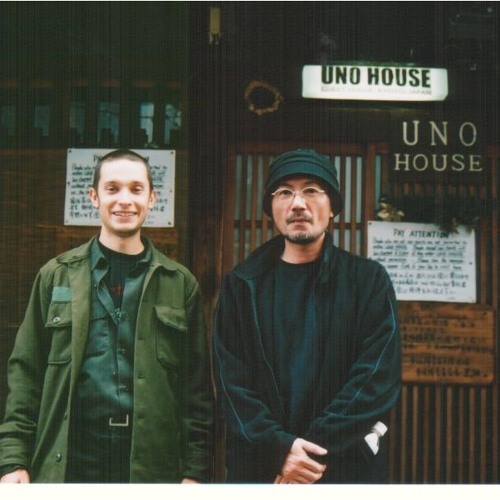 He was a long time regular contact in Japan throughout the life of Anomalous Records. We sent large amounts of cassettes, records and CDs to each other across the pacific. In 2004 I visited Japan for the first time. I spent 8 days in Kyoto. Nakajima-san was generous with his time taking me to temples, shrines, record stores, restaurants, and other sites. He helped arranged with Parallax Records/Para Disc for me to play live in a basement venue alongside Eric Cordier, Meta-Physical Pekining, and Masaru Okami. I played a 45 minute set with only a Moog ring modulator and control processor. For the second half, Akifumi joined me on his own very portable synthesizer. This is the complete second half with us playing together. The live DAT recording was made by Shin'ichiro Tanaka (Meta-Physical Pekining). This recording was sent to Damion Romero to possibly be edited down for his 3" CDR series on P-tapes. Damion thought the piece shouldn't be edited and instead wanted to use a recording of me in collaboration with Withdrawal Method (which has yet to be released). So this posting is the first time this live recording has been made available. The photograph of the two of us was taken by Takuya Sakaguchi earlier that week. I suspect that I am responsible for close to 500 of the 2354 plays this track has. It helps me focus, relax, it inspires me, it confirms and causes me to question. It makes me expand and contract. This is one of those pieces that just perfectly resonates with me. Thank you for this recording and what a great artist he was. Great piece!